Being “Skinny-Fat” can be a bigger danger to your health than obesity. The medical term for “skinny-fat” is MONW (Metabolically Obese-Normal Weight). It means that your weight may be normal for your age and height but your body fat is above what is considered healthy. 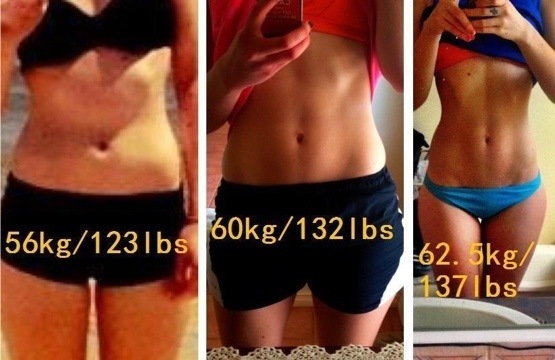 You are under lean and over fat. Medically speaking, it is better to be fat and fit than thin and out of shape. From a previous article based on information from the Veterans Administration READ IT HERE you’ve heard that almost 70% of the U.S population is obese. Currently, more than 1 in 3 Americans are prediabetic( that's 86,000,000 people) and 90% of adults who have prediabetes don't even know they have it. Up to 30% will develop type 2 diabetes within 5 years! But here’s another piece of bad news. Based on a study published in the Journal of The American Medical Association nearly 1 in 4 skinny adults are pre-diabetic. 37% of the “skinny” kids had some signs of pre-diabetes. No one is quite sure yet why skinny-fat people have two times the risk of death as overweight people with pre-diabetes but one reason is skinny-fat people don’t realize they are at risk. They think they can eat anything they want because they don’t seem to gain weight. They think they don’t need to get any exercise. And they never think they need to get tested. Being thin does not mean you're healthy. 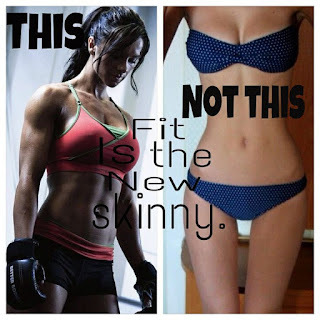 The cures for “skinny-fat” are the same as for people who are obese. 1. Eat a Low-Glycemic Load Diet – lean animal protein (chicken, fish, and eggs), nuts, seeds, beans, vegetables, fruit, and small amounts of non-gluten grains. 2. Power Up with Protein – start the day with protein and at each meal. This makes your metabolism run hotter and cuts hunger. Incorporate eggs, protein shakes, nuts, seeds, chicken, or fish. 3. Don’t Drink Your Calories – no sodas, juices, sweetened drinks and no more than 3-4 glasses of wine or alcohol a week with meals. 4. Avoid the Deadly White Powder or Flour – including gluten-free flour products. Even whole grain flour acts like sugar in your body. 5. Beware of Frankenfood – factory-made foods are often science projects with fake ingredients including MSG (which causes ravenous hunger and is hidden as “natural flavoring”,) high fructose corn syrup, artificial colors, preservatives, and chemicals. 6. Eat from the Right “Plant” – if it was made in a plant stay away, if it was grown on a plant it is probably ok.
7. Get an Oil Change – eat omega-3 fat rich foods including sardines and wild salmon and avoid refined and processed vegetable oils except olive oil. 8. Get Going and Get Strong: both cardio and strength training are key. Cardio builds fitness and improves metabolism and strength training builds muscle so you won’t be a skinny fat person. 9. Take Supplements: they grease the wheels of your metabolism and help burn calories, and balance blood sugar. A good multivitamin, fish oil (EPA/DHA,) and vitamin D do the trick for 95% of people. 10. Protect Sleep Time: sleep deprivation alters metabolism and increases cravings for carbs and sugar. Sleep is sacred. Make your bedroom a sleeping temple and stay there for 7 to 8 hours a night.